Jukido Kai is now offering Yoga at the Dojo!!! Did you know that Sensei Topp is also a Yogi? 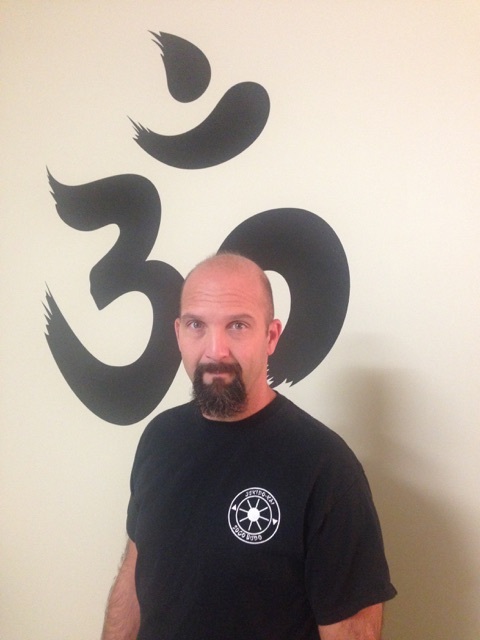 Sensei Topp RYT- is Wapakoneta’s first Registered Yoga Teacher with the prestigious Yoga Alliance. He is an Ohio State Medical Board Licensed Massage Therapist and Licensed Physical Therapy Assistant. His knowledge of anatomy and his 30 years of physically training Martial Artists leaves you in the perfect hands on your journey to being the strongest, healthiest person that you can be. Start at the beginning with little to no experience with our Monday 7pm to 8pm Fundamentals of Yoga class-Learning what Yoga is, how to build and customize the pose to fit Your needs, how to integrate the breath into practice & much more! Jump into our All Levels class on Wednesday 7pm to 8pm-Progress at your own rate in a group setting. Following a progressive routine that builds through the month to challenge you and build you up no matter what level you start at. Schedule Private Training to fully customize all aspects of you practice and receive one on one guidance from a Registered Yoga Teacher. There is nothing to hold you back! We will “meet you” at your current fitness level and start on the path to healthier, more focused and vibrant You!